Tamil Nadu Postal Circle Recruitment 2016, In the Tamil Nadu Postal Circle Recruitment 2016, Current Govt. Jobs for Postman & Mail Guard at the Tamil Nadu Postal Circle Recruitment 2016. Tamil Nadu Postal Circle Recruitment 2016 Postman & Mail Guard Posts November 2016, Tamil Nadu Postal Circle Recruitment 2016 have been decided to recruit Postman & Mail Guard Posts Advertisement Date 11th November 2016. Important Dates which candidate should remember when applying Tamil Nadu Postal Circle Recruitment 2016 as follows. Probably you are waiting for this Tamil Nadu Postal Circle Recruitment 2016 Notification you can apply online Tamil Nadu Postal Circle Recruitment 2016 posts Postman & Mail Guard. For the post of Postman & Mail Guard – Indian. Now the question is who can apply the Tamil Nadu Postal Circle Recruitment 2016 Job, -Well those are planning to apply for this / these Postman & Mail Guard Posts should have the following minimum eligibility criteria. Also check the advertisement details. The Eligible Candidates Should have process Matriculation from a recognized board or University. 3 years after deduction of service rendered in military from the actual age as on the closing date for registration of application. Upto 40 years of age 45 years for SC/ST and 43 years for OBC. Pay Matrix Pay level 3: Rs 21,700 – 69,100. Application Fee: Rs. 100/- mandatory for all categories of applicants who have registered. 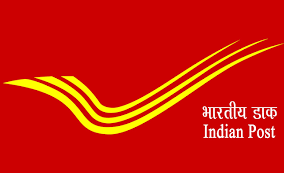 >> HOW TO APPLY ONLINE TAMIL NADU POSTAL CIRCLE RECRUITMENT 2016 ? (1) The applicant has to visit the website www.dopchennai.in through internet enabled workstation or personal computer or laptop. (2) The applicant has to go through the notification, instructions to candidates, vacancy position, FAQ carefully before filling up the application form. (3) The applicant has to keep ready. (4) The applicant has to fill up the data required online and enter all mandatory fields. (5) Finally before submitting the form, the applicant has to check all the entries made by him/her for its correctness and genuineness. (6) Once submitted, no data can be modified/altered. (8) After registration, fee challan will be generated as per the eligibility of the applicant. (9) The registered applicants should pay the required fee at any post office with E-Payment facility (listed under e-payment link of www.dopchennai.in) within 3 days from the closing date of online registration, i.e. 18/11/2016 . (10) After payment of fee, the candidate has to update the payment details in the portal through LOGIN for completion of registration process. (12) The applicants are advised to keep a copy of fee challan, receipt issued by the Post office and application, for future reference. (13) For Receiving the SMS/Email to the registered mobile number/Registered email ID, the candidate are requested to furnish valid Mobile Number and Email ID, otherwise no correspondence will be entertained. (15) Candidates who are unable to download their Admit cards or do not receive their admit card in their registered email ID at least one week before the date of the examination should submit their request in the website through support tab.